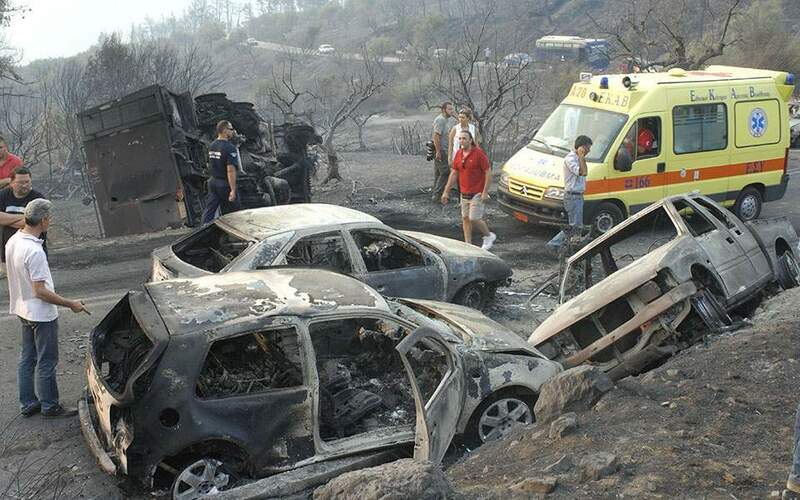 In the aftermath of what was the worst fire in Greece’s modern history, the government is coming under increasing criticism for failing to provide clear-cut information on the number of missing and for allegedly trying to muddy the waters over who is responsible. Speaking after Prime Minister Alexis Tsipras met with survivors in his first visit to the devastated town of Mati, government spokesman Dimitris Tzanakopoulos said that now is not the time to blame individuals but to do the utmost to help victims and begin work to crack down on illegal construction, which experts said made the fire even worse. The government has been fiercely denounced over the way it handled the fire, which left at least 92 dead and scores injured and missing. More than 1,000 buildings must be demolished while the environmental groups said the fire was the deadliest in the country’s history, scorching 17,000 acres of forestland and residential areas. “It took an entire week for Tsipras to visit Mati, like a thief, in a fully protected environment,” it said. “Mr Tsipras must realize that [people] must be held accountable for the mistakes and omissions made on July 23,” the party added. “People want to know the whole truth as to how so many lives were lost for no reason,” it added. Defense Minister Panos Kammenos sought to defend the government’s response. “I cannot think of any other crisis where the prime minister assumed the political responsibility [for the tragedy],” he said. “The easiest thing during such a crisis would be for [Tsipras] to hide and not show up,” he said, adding that people will be held accountable for any mistakes or omissions.